Thanks for your interest in joining our converting community. 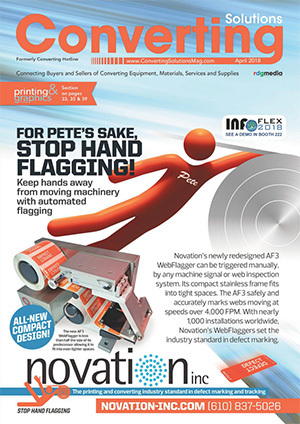 Please complete the information below and click Submit to receive your FREE subscription to Converting Solutions Magazine, a PFFC brand. And/or E-Clips, including weekly news, new products, videos, expert advice, and special announcements. View our Current Mailing of E-Clips and all archived mailings here. How many people are employed at your company? Are you in the market to purchase Equipment or Services? If yes, what equipment/service are you in the market to purchase?